Marla BB has studied the voice & body for 30 years now. She is an internationally touring blues based singer, a nationally recognized teacher, and martial artist. 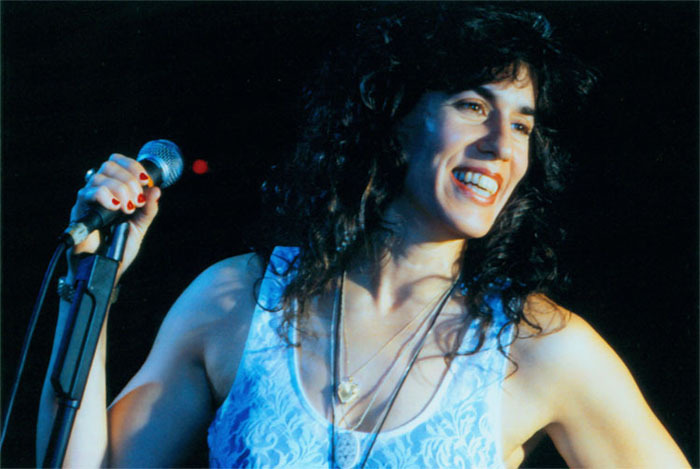 Marla started her career chanting in synagogue at the age of 12, began formal classical voice training with a professor from Curtis Institute of Music in Philadelphia at 13, and by 18, Marla moved onto jazz training with a renowned teacher from Berklee College of Music in Boston. Concurrently, Marla was enrolled as an acting major at Emerson College, graduating at the age of 21 with a BFA in Dramatic Arts & already 2 years of professional experience with Boston's experimental theatre troupe, Reality Theater (later turned Theatre Works). Over the next 10 years, Ms. BB taught improvisational theatre, music & movement to all types of people from pre-school to seniors, special needs to "normal" in schools, camps, community centers, environmental education organizations, even on boats! She also trained in the Alexander Technique as a complement to her extensive use of the voice & body, thus breath. During this time, Marla auditioned & formed her first band beginning her professional singing career. The 80's were spent teaching & performing regionally in the Northeast. Come the 90's Marla BB went national with her music, touring the country full time. When she wasn't on the road, Marla began intensive training in Martial Arts. Now in the 2000 millennium, Ms. BB teaches Martial Arts, Self-Defense, Violence Prevention & Empowerment at home, while continuing to perform internationally with her explosive Blues Based Singing career. "Bombshell", MARLA BB... She's opened for George Thorogood, Delbert McClinton, Tracy Nelson, Koko Taylor and shared the stage with James Montgomery, Roomful of Blues, Pete Seeger, Jessie Mae Hemphill, and Bill Sims Jr.!